A Chinese surveillance ship is operating off the coast of Hawaii to keep tabs on the U.S.-led Rim of the Pacific (RIMPAC) exercise, a Navy official confirmed to USNI News on Friday. 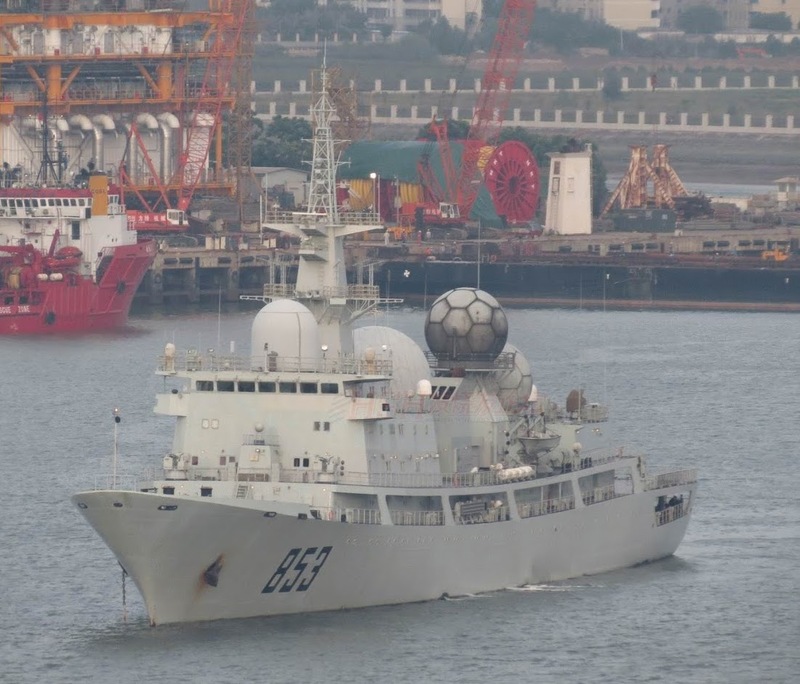 The People’s Liberation Army Navy’s (PLAN) auxiliary general intelligence (AGI) ship has been operating in the exclusive economic zone (EEZ) off the coast of Hawaii since July 11, U.S. Pacific Fleet spokesman Capt. Charlie Brown told USNI News on Friday. “We expect the ship will remain outside the territorial seas of the U.S. and not operate in a manner that disrupts ongoing RIMPAC exercise,” Brown said. The Honolulu Star-Advertiser first reported the presence of the AGI off Hawaii. “It is very disappointing that the presence of a non-participating ship could disrupt the exercise,” Chilean Navy Commodore Pablo Niemann told the Star-Advertiser on Thursday. Australian media reported that a Chinese AGI tracked a Royal Australian Navy ship headed to RIMPAC. However, it is unclear if it was the same one currently off the Hawaiian islands. USNI News understands the uninvited AGI off Hawaii is a Dongdiao-class, the same type of ship China has used to monitor the RIMPAC exercises in 2014. In 2016 a Russian AGI monitored the exercise from the Hawaiian EEZ. The expected arrival of the AGI follows the late May revocation of the invitation of the PLAN from RIMPAC exercise. In 2014 and 2016, the U.S. was fine with the Chinese and Russian ships operating in the vicinity in the of the exercise in compliance with the U.N. Law of the Sea Convention. “We continue to uphold the principle of freedom of navigation and overflight in accordance with international law,” Brown told USNI News.